Author Megan Devine says: "Self-kindness is seriously difficult. We treat ourselves far more harshly than we would ever allow anyone to treat us. Everyone struggles with this, it's not just you." This is a message everyone—not just those who are grieving—needs to hear. Today my kind self-care included teaching my indoor rowing class, debuting for them a new playlist I made of big band, swing, and crooner songs. We worked hard and had fun. 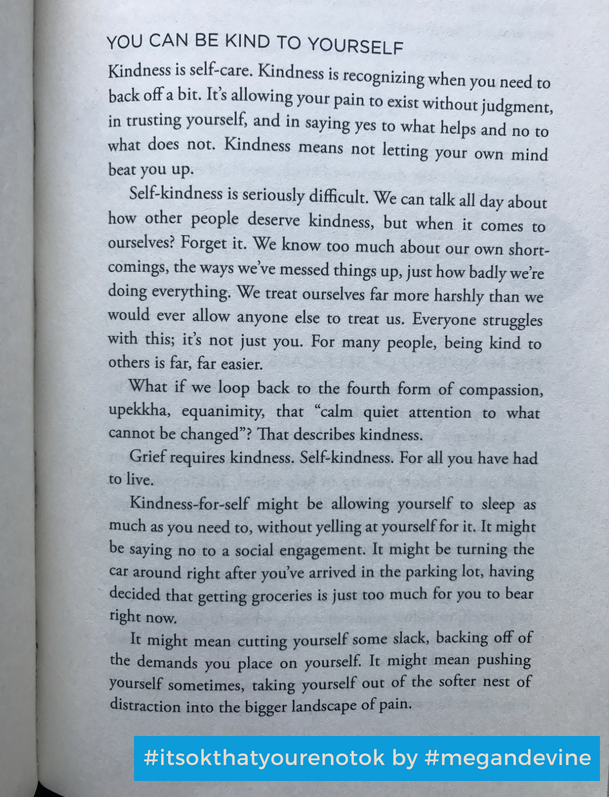 How can you be kind to yourself today?